Getting travel insurance before leaving for a long journey has become very important. It rescues you from any unforeseen hurdles that may come across your way during the trip. If you want to get the right travel insurance policy, then come directly to us. At Guna Cab, we are engaged in offering dependable travel insurance services to the tourists across Guna (Madhya Pradesh, India). 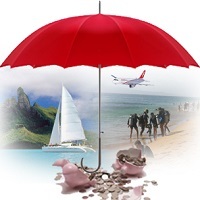 Our travel insurance agents are associated with some of the leading insurance companies. Thus, they can assist you in finding the right and most suitable travel insurance policy as per your requirements. Moreover, our agents can help you with the documentation procedure as well. So, contact us now.